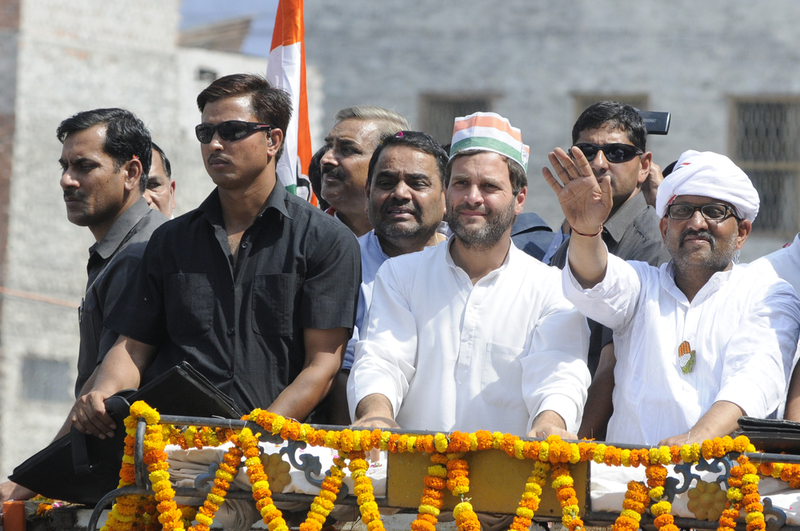 Is Rahul Gandhi's move to Twitter a wise step/game changer or just too late? Brand Rahul Gandhi – digital marketing strategy gone wrong? Twitter has a new member, a long overdue member who was buffering all along – Rahul Gandhi, the Vice President of Congress. May 6th was that (auspicious) day when he came on board, the conversation driven platform which has been Namo’s home now for the past 6 years. That’s a long time of no Rahul Gandhi while Namo has already established his base and gathered 12 million followers. Looks like a lot of catching up to do. Without delving into the past where the Congress VP’s actions were bordering on indecisiveness and insignificance, let’s look into the implications of his latest digital move. However, certain facts need to be laid out. It was only in mid-2013 that the Indian National Congress after watching their opposition party’s presence grow across social media platforms, created its Facebook page, Twitter handle, a Youtube channel, a volunteer’s platform – Khidkee. Their strategy even then, did not involve leveraging Rahul Gandhi as a one point contact person on any social media platform to gather new followers for INC. If it wasn’t important then, why is it now? For a moment, let us assume Rahul Gandhi is like any other brand that is now on Twitter. The strongest reason for a brand to be on Twitter is to build on an image for itself. Social media is about constant innovation, which means apart from newly launched brands, even an established brand has to learn how to relaunch, rebuild, reinvent itself to create that spark, it first set off. In Rahul Gandhi’s case, it would be about recovering what was lost in the 2014 election debacle. @OfficeOfRG is about starting from scratch, about relaunching itself, about changing the perspective associated to Congress. A brand is always looking at driving conversation on crucial topics on Twitter to build a greater association and recall. @OfficeOfRG through its updates and opinions could crowd source ideas from various users, thus keeping their main page, the starting point. Recent studies are showing, Snapchat growing in popularity among teenagers as compared to Twitter. Elaborating the fact that work doesn’t end for Rahul Gandhi just with Twitter. Especially if he plans to establish himself as the youth icon. Social media helps brands maintain transparency to a certain extent with their minute by minute updates.. @OfficeOfRG can now vouch for transparency through constant tweets which will then lend a personality to the party itself. In a way, Rahul Gandhi is now ready to involve people in his decisions, pay heed to their response and reactions to his tweets, and then bring about a change in his social media strategies accordingly. Rahul Gandhi sees the necessity (after 6 years) of becoming a reliable representative for his political party. . There are a few aspects that go against this move. Firstly, the twitter handle is more official than personal which might send out mixed signals. It could imply his reluctance to directly engage with his users which lessens his relatability quotient. Secondly, his 55 day hiatus has left a dent in his reputation, for which he didn’t have an explanation either. Unless, Rahul Gandhi has something path breaking to offer, his move to Twitter will mostly go unnoticed or make room for more internet jokes. From here, the Vice President of Congress will need to carry out integrated online and offline activities. Other political leaders’ social media journeys only highlight this further. For example, Narendra Modi, apart from holding Twitter and Instagram accounts, has now joined the Chinese micro blogging service – Weibo where he already has 33,000 followers. All these decisions have far reaching consequences in the long run. Apart from expanding his visibility, the Prime minister is paving his way for an invincible digital presence. Whether it comes down to aping this world wide influencer or coming up with a unique social media strategy, Rahul Gandhi sincerely has to up his ante to create even a possibility for the Congress in the 2019 elections.